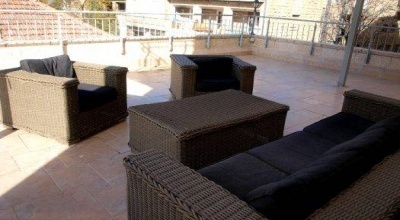 Gorgeous fully furnished all inclusive 3 room apartment with balcony ! 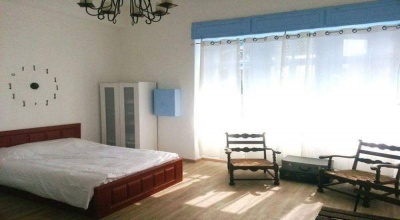 Exquisite fully furnished all inclusive studio apartment w/ balcony ! Exquisite fully furnished all inclusive studio apartment w/ balcony ! (City-Center) Located on the 2nd floor of a stone building, close to major attractions in the city, shops, restaurants and minutes away from the tramway and main bus lines, this fully furnished studio apartment features a spacious bedroom, a kitchenette equipped with fridge and stove, a shower room and internet. 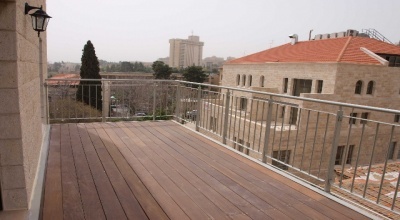 Exquisite fully furnished apartment w/ huge terrace near Ben Yehuda ! 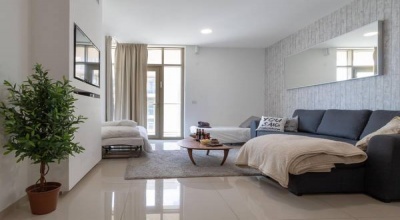 Gorgeous fully furnished apartment with balcony in boutique building !